Major Discovery Of Cave Lions That Lived 10,000 Years Ago - Science Is Wicked! 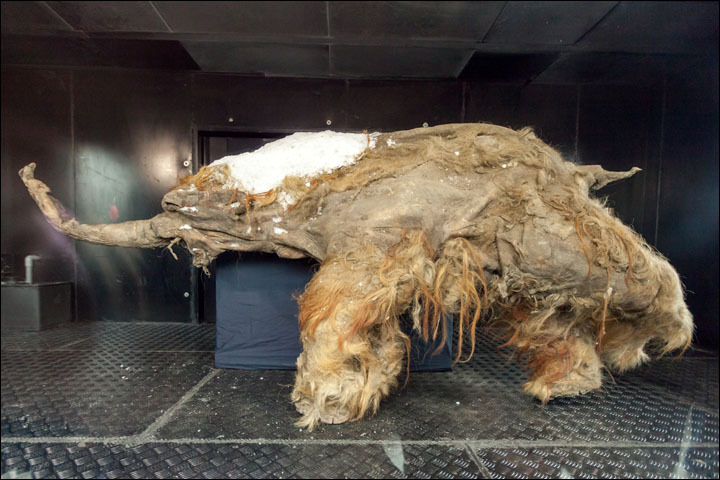 These Cave Lions have been found after being preserved in permafrost for 10,00 years or more. The discovery was made this summer in the Sakha Republic (known as Yakutia) and details have been announced today 26th October 2015. The Academy of Sciences of Yakutia will make the find public sometime in November but in the meantime have released some astounding photos. It’s quite amazing that these types of discoveries occur and we can see from the photos how well preserved they are and how much Scientists can learn from them. The cave lions – Panthera spelaea (Goldfuss) – lived during Middle and Late Pleistocene times on the Eurasian continent, from the British Isles to Chukotka in the extreme east of Russia, and they also roamed Alaska and northwestern Canada. The extinct creatures were close relatives of modern Afro-Asiatic lion. Finds of their remains are rare: today’s announcement about the existence of the pair is coupled with the confident claim that they are best preserved ever unearthed in the world. Previously, only fragments of carcasses, parts of skeletons and individual bones had been found. Until now, in Yakutia, only skulls, some teeth and bones were unearthed which has prevented scientists having more than an approximate image of the extinct creature. Like other ancient animals, the cave lion became extinct: research on the two cubs could help to explain why they died out around 10,000 years ago, since the animal had few predators, was smaller than herbivores, and was not prone to getting bogged down in swamps, as did woolly mammoths and rhinos. One theory is a decline in deer and cave bears, their prey, caused their demise. Signup now and receive the Exclusive Newsletter from Science is Wicked!